Getting my instrument rating was one of the most difficult things I’ve ever done. And, more importantly, it is one of my proudest achievements. According to Wikipedia, cognition is the set of all mental abilities and processes related to knowledge: attention, memory, judgement, reasoning, problem solving, decision making, comprehension, production of language, etc. All of these processes are important in VFR flying, but the stakes are higher under IFR and they are off the charts in clouds (actual IMC). Consequently, you should expect IFR training to stretch the limits of your cognitive abilities and it will do so at the expense of your other abilities, such as flying the airplane. Before you start training, practice the basics of flying to make sure they are second nature. Practice holding a heading within 10 degrees, and an altitude within 100 feet. Make a cross country flight with flight following to make sure you’re comfortable speaking with ATC, and try to absorb their vocabulary and syntax so your communications are short, precise, and informative. Communication is crucially important in IFR, so for more help, spend some time listening to a busy frequency on liveatc.net and try to imagine the airspace and the traffic inside it. Of course, any instructor with a CFII is qualified to teach students in IFR. However, if possible, work with a seasoned instructor. The 20 year old CFI that just got their instrument teaching endorsement (the “double i”) probably doesn’t have all that much actual instrument experience. For my money, I want to learn from someone with as much actual experience as possible. I want to hear about their difficult flights and how they handled situations like thunderstorm avoidance and in-flight icing. Further, a “seasoned” instructor will better accommodate your learning style and might be able to help you overcome the challenges along the way quicker. Seek out that instructor at your flight school, and let the 20 year olds teach the VFR students. Honestly, I had more difficulty with the written test than the practical test. It is difficult to put into words, but I think my problem was that the written test had a lot of information that didn’t apply to the IFR flying I was doing (for instance, questions about ADF navigation). I made sure to study and take practice tests often, identifying my weak areas and not taking the written exam until I had ironed out those weaknesses. There are many self-study courses available, and I used the Sporty’s IFR course on the iPad and found it to be helpful. However, I referred to an IFR textbook (Jeppeson) when the videos and other information on the app didn’t answer my questions. Predictably, I found myself very anxious leading up to the practical test. The oral portion of the test was straightforward, with an emphasis on understanding the details of the IFR enroute and approach charts. One other area of emphasis was in emergency procedures, and we spent a long time discussing lost communication scenarios. 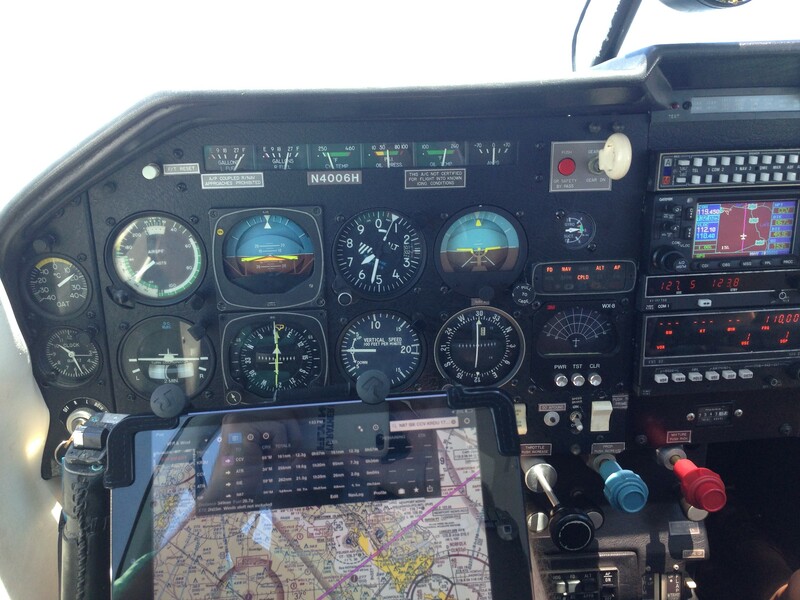 The actual flying was less stressful–easier than my recent lessons which had focused on partial-panel approaches. I don’t have much to say about the flying–make sure you are thorough about briefing the approaches before you fly them. Imagine flying them before you actually fly them, paying special attention that you don’t overlook minimum altitudes at intermediate points in the approach (trust me, you don’t want to bust minimums). 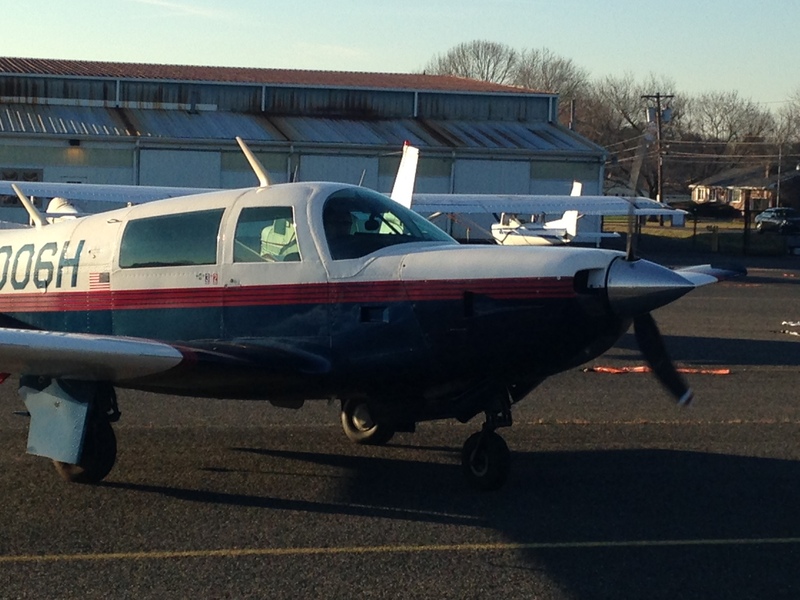 Fly well and you will get your instrument rating on the spot and, trust me again, you will feel great. It is a huge accomplishment that only other pilots will truly understand (the general public seems perplexed by the concept of IFR).